WASHINGTON (AP) — Director John Brennan has ordered a sweeping reorganization of the CIA, an overhaul designed to make its leaders more accountable and close espionage gaps amid widespread concerns about the spy agency’s limited insights into a series of major global developments. Brennan announced the restructuring to the CIA workforce on Friday, including a new directorate devoted to boosting the CIA’s computer hacking skills. He said the move comes after nine agency officers spent three months analyzing its management structure, including what deputy CIA director David Cohen called “pain points,” organizational areas where the CIA’s bureaucracy does not work efficiently. Briefing reporters with Cohen at CIA headquarters this week, Brennan said the changes are necessary to address intelligence gaps that the CIA is not covering. He lamented that there is often no single person he can hold accountable for the spying mission in any given part of the world. The changes come against a backdrop of evidence that the CIA’s focus on hunting and killing terrorists since the Sept. 11 attacks has led to an erosion of the espionage and analytic capabilities the agency built during the Cold War. The CIA, along with other U.S. intelligence agencies, wrongly assessed the presence of weapons of mass destruction in Iraq in 2002 and failed to anticipate the rapid collapse of Middle East governments during the Arab Spring in 2011, among other shortcomings. The agency’s greatest public success of recent years — the 10-year effort to locate and kill Osama bin Laden in 2011 — may have taken longer than it should have, according to evidence made public in the recent Senate report on CIA interrogations. Internal CIA surveys have cited bad management and bureaucratic frustration as factors in driving talent away from the agency. Under Brennan’s reorganization, the CIA would break down the wall between the operations and analytical arms, a system that typically has required the case officers who recruit spies and run covert operations to work for different bosses, in different offices, than analysts who interpret the intelligence and write briefing papers for the president and other policymakers. The new plan would blend practitioners of those separate disciplines into 10 centers devoted to various subjects or areas of the world. There are a handful of such centers at the moment, including the Counter Terrorism Center, where analysts and operators have worked side by side for the last decade targeting al-Qaida with espionage and drone strikes. Under the new plan, each center would be run by an assistant director who would be responsible for the entire intelligence mission within that jurisdiction, including covert operations, spying, analysis, liaison with foreign partners and logistics. 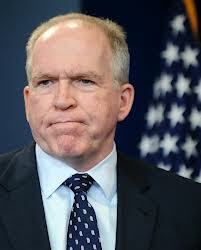 The system of CIA stations, headed by a CIA station chief, will remain in place, Brennan said. Most stations are in U.S. embassies, and various CIA case officers in embassies may be working on different missions for different centers. The changes do not require congressional approval and will be undertaken within the CIA’s current..